Plastic model kits are, for the most part, snap-fit plastic models that are molded on Runners or Trees. When assembled, they most often depict mechs, although some companies are known to produce model kits of organic nature (humans and the like). Non-grade (NG): Mostly 1/144 models from before Gundam 00, these ones may or may not require glue to make, depending on the release date (NG models before Char's Counterattack require glue, while from Victory Gundam and onwards, they are snap-fit). The easiest to build due to having only 1-2 full runners of parts, but with very limited articulation (often only the hips, shoulders and head), and require the most paint and skill to make professionally. Often in the neighborhood of $10-20. High Grade (HG): Consisting of both 1/144 and 1/100 models, This encompasses all the non-classified 1/100 models from Gundam SEED/DESTINY, Gundam 00, and Gundam X. 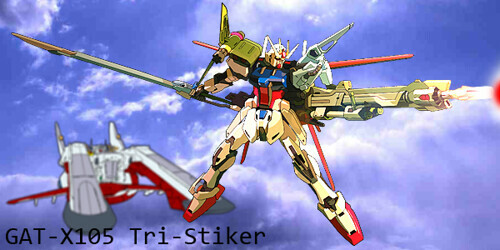 This line also includes the High-grade Universal Century (HGUC), and all the 1/144 models from Gundam SEED and onwards. All main joints are articulate (elbows and knees as well as ankles) with decent movement range, and can look quite nice without paint. By far the largest group numerically. 1/144 HGs range from 20-40 normally, with some cases going up to 120, while 1/100s range from 30-60, with some cases going up to 140. Master Grade (MG): The most balanced in terms of gimmicks, quality and price, the MG series is often the showcase for new model-making technologies. Very good color separation and articulation, it includes numerous gimmicks like opening cockpit hatches, independent movable trigger fingers, mechanical frame and detail, clear eye parts in case you want to do an LED mod, and much more. Models range from 40-80 normally, with special cases going up to 250 (MG THE-O, Perfect Zeong). Perfect Grade (PG): one of the largets and most expensive grades, These 1/60 kits feature gimmicks like full color separation (no painting needed at all), lighting (for head and sometimes other parts), fully independent fingers with full articulation, as well as minor details like multi-color armor panels and cockpit details. Starts at 150, and can go up to 500, but most are 200-ish. Real Grade (RG): Launched in the summer of 2010, it only has 2 kits so far: the RX-78-2 Gundam, and the MS-06S Char's Zaku II. Incorporates technology and gimmicks from the MG and PG lines, with MG hand articulation and frame, and PG joint articulation, color separation, and design. Goes in the neighborhood of 50-60, due to the fact that it's essentially a MG/PG hybrid the size of a 1/144 model. Jumbo Grade (JG): The largest model kits, these 1/48 scale models do not incorporate the details in PG models, bu make up for it with their sheer size. About the same articulation as 1/100 HGs, they cost around 100. So far, only one has been released (RX-78), with Char's Zaku II slated for a release in the near future. Side Cutters: The most important tool, it is by far the most used tool. Cuts the part from the runner, and usually has one flat edge to cut thins more-or-less flush to the surface. Utility Knife: Can be used on PS, ABS and PC runners, it can be used to cut the excess plastic (called nubs), but as it is a sharp blade, care must be taken, or be wearing cut-resistant gloves. Sandpaper/File: An alternative to the knife (and probably OK to bring into school), grinds away unnecessary plastic. Also useful when delicate parts need to be thinned down, where the knife cannot cut without risking damage. Gundam Markers: Pre-mixed paint and thinner, conveniently in a marker with either broad or fine tip versions available. Paint is applied unevenly, so multiple coats are necessary. Plastic Cement: Like the name suggests, it chemically bonds the pieces in contact. Permanent, and has to be done right the first time. Modeling Putty: Can be used to fill gaps and unwanted crevices (i.e. some large parts are molded hollow, leaving an ugly cavity). Should be sanded down and painted over later, as it dries to a grey color. Paints: Often in pots without thinner (sold separately), when used with an airbrush, provides the user freedom of color and an even coating, and can also be used with a paintbrush for narrow crevices. Scoring tool: Can be used to make custom panel lines. Best used when you have a metal straight edge to guide the blade. Topcoat: Applies a protective coating to the model and paint, but adds thickness to the parts; foresight should be used when topcoating joints and such. Personally, I don't have the cash to buy $4 inking pens, so I use 'the cheap man's toolkit'; Permanent marker, Hobby knife, side cutters, Gundam markers and toothpicks for spreading paint into crevices. Option A: I buy the demo model with my own funds, and I keep the end result. Most likely a HG as I don't have that much income, but I may save up for a MG. This also applies to anyone: If you want to try building something and have the funds for it, I'll happily get it for you so you can do it during the workshop. Option B: The model is purchased with club funds, and the end result can be used as a prize for a large competition of sorts, or as a trophy to the group with the most team points at the end of the year. Will probably end up being a HG, unless the club really has money to burn. Expendable items such as Paints are out of my pocket, as I already have both markers and pot paints. However, I do not have enough side cutters and files for everyone who intends to attend the workshop; I suggest you ask your parents for a pair of cutters (Nail cutters are not recommended, but will work in some cases) and a file (once again, Nail files could work, but they are too slow). For obvious reasons, DO NOT BRING A HOBBY KNIFE. Even though its my main finishing tool, I'll be using a file for the demo. Now, regardless of which option, which model would you like to use as a demo? This workshop will not likely be started until second semester, so you can also choose models that are available for pre-order up until January release. Go for a master grade zeta c1!